Ships from Hong Kong. 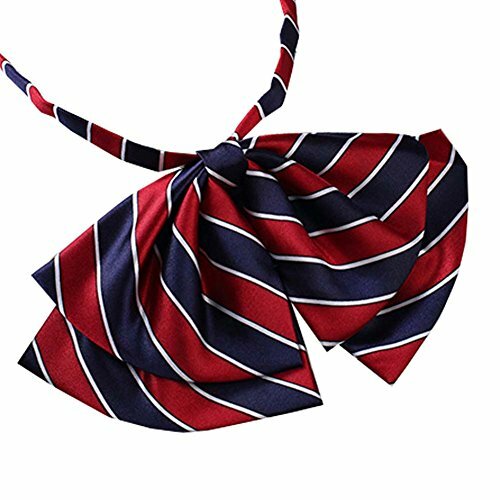 This bow tie is the perfect accessory for shirts and is an indispensable part of school uniforms. It makes you more charming and decent in the formal situation. In addition, it is perfect garment for service industries, such as restaurant, hotel, travel, band, air hostesses and so on. Show your best service and best appearance for the audience to make them feel kind. This bow tie is the perfect accessory for shirts so that makes you more charming and decent in the formal situation. It is not only an indispensable part of school uniformsis, but also perfect garment for service industries, such as restaurant, hotel, travel, bank, air hostesses and so on. A variety of colors and patterns for you to choose. If you have any questions about this product by George Jimmy, contact us by completing and submitting the form below. If you are looking for a specif part number, please include it with your message.